i do blog with my e71! 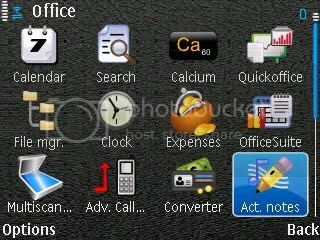 im using windows live at the moment, and im still looking for a way to straightly add blog entries from my e71. at the moment im stuck in sending entries to my laptop then post it to my blog. ive tried few times but windows live said that my entries are too long. anyone have any thoughts? Same with me, I wish wordpress would add an application for mobile blogging for symbian devices and not only for iPhone.. But you can publish also by sending an email, right?? wow! thanks mir! your info is really enlighting.. Tried several time using Scribe, but only bug that I found…any successfull experience? try pixelpipe (www.pixelpipe.com). 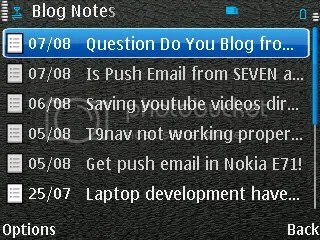 Write your blog on your E71 then upload it directly from your phone into your blog. I also failed with Scribe despite all the good reviews its getting. I just doesn’t work on my E71.